The on-board IR® Digital PWM controller delivers the most precise and stable power so that users may achieve optimal performance. 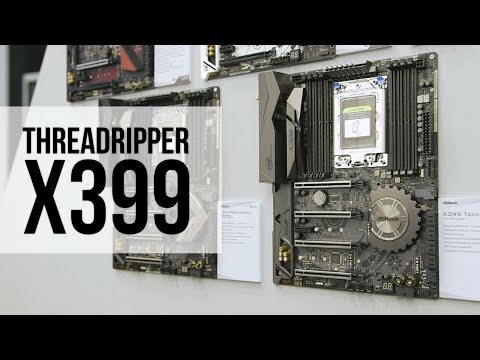 This flagship motherboard is able to support 4-Way SLI or 4-Way CrossFireX effortlessly. Not only support GeForce GTX multi-GPU, it is also fully compatible with NVIDIA® Quadro® professional desktop workstation graphics solutions 4-Way SLI. *Please refer to NVIDIA® website for the 4-Way SLI supported graphics card list. *Teaming is not supported with Windows® 10. Build your own colourful lighting system! RGB LED and header allows users to connect LED strip and create their unique PC style easily. The ASRock RGB LED utility can be downloaded directly or from an all-in-one utility ASRock Live Update & APP Shop! The 8 Layer PCB comes with 4 sets of 2-ounce copper inner layers, providing stable signal traces and power shapes and delivering lower temperature and higher energy efficiency for overclocking! Thus, it's able to support the latest DDR4 memory modules with most extreme memory performance! *Hyper BCLK Engine III is mainly for extreme overclocking. Certain storage device or function may be disabled when doing BCLK overclocking. It's time to enjoy the most purified audio performance with ultra-high definition. Purity Sound4 is a combination of several hardware, software audio solutions. 7.1 CH HD audio with the latest Realtek ALC1220 audio codec, individual PCB layers for R/L audio channel, 120dB SNR DAC and other technologies to deliver the crispest sound effects. • TI® NE5532 Premium Headset Amplifier. • Individual PCB Layers for R/L Audio Channel. • Impedance Sensing on Front Out port. • Nichicon Fine Gold Series Audio Caps. This motherboard has a pair of on-board Type-A and Type-C USB 3.1 ports built on the rear i/o for supporting next generation USB 3.1 devices and to deliver up to 10 Gbps data transfer rates. • 10Gbps: USB 3.1 doubles the data transfer rate! • 3.0A: USB 3.1 Type-C doubles the charge speed! ASRock Live Update & APP Shop is designed for your convenience. We provide various apps and support software for users to download. You can also easily optimize your system and keep your motherboard up to date with ASRock Live Update & APP Shop. Features • ASRock Super Alloy. 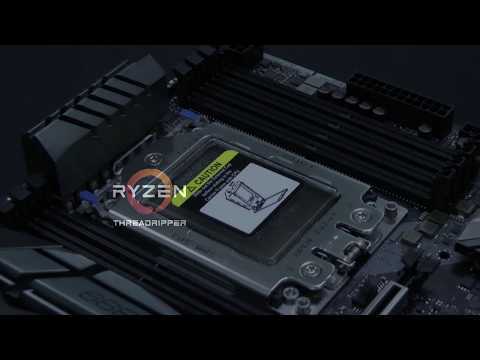 • Supports AMD TR4 Socket Ryzen Threadripper Series CPUs. • IR Digital PWM, 11 Power Phase & Dr. MOS. • 4 PCIe 3.0 x16, 1 PCIe 2.0 x1. • NVIDIA® 4-Way SLI™, AMD 4-Way CrossFireX™. • 7.1 CH HD Audio (Realtek ALC1220 Audio Codec), Supports DTS Connect. • 2 USB 3.1 10Gb/s (1 Type-A + 1 Type-C), 12 USB 3.0 (4 Front, 8 Rear). • Dual Intel® Gigabit LAN. • Hyper BCLK Engine III.